Here you will find a site devoted to informing people, bringing them together around an authentic Gospel of love and acceptance. Here you will not be judged or condemned. Our Gospel is simple: Christ died so that you might live. Sin has been defeated. You are saved, whether you are a Christian or not, whether you believe or not, and it has nothing to do with anything you do or do not do. You are saved. The Bible you hold in your hands is not the REAL bible. The one you have was just made in reaction to the real one. It had none of the sexism, racism, homophobia, eternal damnation, and legalism of the Bible you read. It was collected by a man named Marcion. 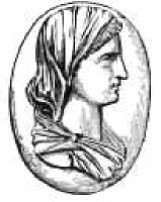 Marcion of Sinope lived during the time before Christianity had become a state religion. He believed that of all the apostles only Paul had truly understood the message and mission of Jesus Christ. He began to see that the Old Testament God is not compatible with the Heavenly Father shown by Jesus, and he also like many Christians even today struggled with the idea that a good, powerful, and just God could allow evil to exist in this world. His solution to these problems was simple, elegant, and reasonable. The creator God of the Jews was not the same being as the one that sent Jesus. Jehovah is exposed as wrathful, jealous, and warlike, a being who instituted the Law of Moses to enslave mankind. The true God is a distant being, utterly transcendent, utterly perfect and accepting. A God of love. Who so loved mankind that he sent his son to save it.